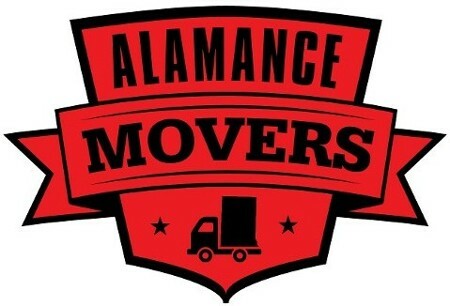 Whether you are moving or storing your items, the team at Alamance Movers in Burlington NC has the professional movers to get the job done. Our crew is dependable and hardworking, assisting you with whatever is needed to make your move a hassle-free experience. For storage options, we have a number of containers ready for rent. These are great when you are transitioning between places, redoing the interior of your home, or are a college student who is going away for the summer. Best of all, you don't have to come to us, as we bring the container to you. With more than 10 years of experience in moving, Alamance professional movers in Burlington NC knows the right way to handle all your moving needs to assist you during relocations, downsizings, and renovations. When you hire Alamance Movers in Burlington NC for your move, you get a company that you can count on to provide hardworking, professional movers to help you settle into your new place. Located right in the middle of the state, we service the entire area. Our moving company is locally-owned-and-operated. We are licensed and insured. Make sure your next move is a breeze thanks to our team of movers in Burlington, NC. We offer a variety of moving services, Contact us today! We want to give the best services at the best price possible.